If you haven't heard of Alibaba, now is the time to read up. Alibaba, arguably the world's biggest e-commerce company, filed paperwork on Tuesday that sets the stage for what could be the biggest initial public offering in U.S. history. The Chinese tech behemoth filed with the Securities and Exchange Commission to raise $1 billion, but that figure is seen as just a placeholder. Analysts have said it could haul in more than the $16 billion Facebook raised in 2012. Alibaba did not say which exchange it plans to list its shares on. Both Nasdaq and the New York Stock Exchange are competing for the plum assignment. 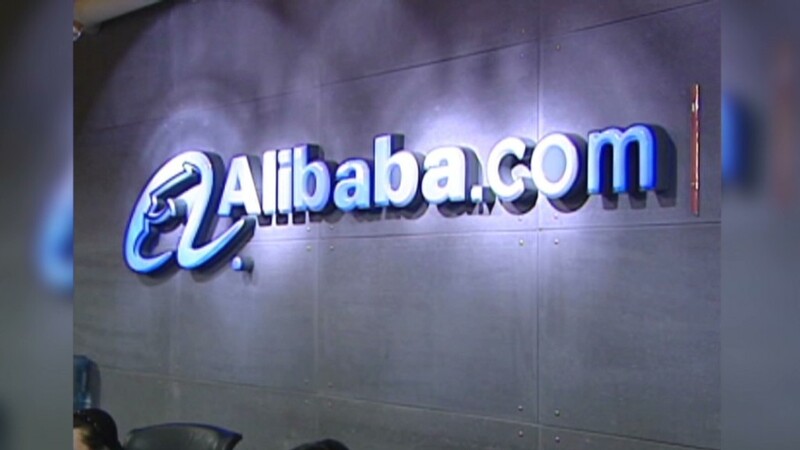 The filing on Tuesday also did not reveal what stock symbol Alibaba plans to use. The company has strong U.S. ties. Yahoo (YHOO)owns a 22.6% stake in Alibaba and will profit nicely after the IPO is complete. The Alibaba IPO filing follows the debut of Weibo (WB), dubbed "Chinese Twitter," which raised $286 million in April. Alibaba's decision to list in New York was a blow to Hong Kong, which objected to the company's governance structure that will give a group of insiders the exclusive ability to name a majority of the board members. While Alibaba is little known by Americans, it dominates the e-commerce market in the world's second biggest economy. The company's Taobao service has 800 million product listings from 8 million sellers. The filing shows Alibaba earned net income of about $1.4 billion last year on $5.6 billion in revenue. Chinese commerce revenue stood at $4.7 billion, compared with just $669 million in international sales. In a testament to its size and scale, the company handled more than 11 billion orders last year from 231 million active buyers. In the risk factors of its filing, Alibaba noted anything that severely damaged the "trusted status of our ecosystem" would harm the brand -- and its revenue and profitability. The company also warned it may not be able to maintain and improve the its marketplaces. Alibaba has shelled out billions of dollars to acquire other companies recently, including $1.2 billion last week to purchase an 16.5% stake in China's Youku Tudou, an online video company similar to YouTube and Netflix (NFLX). Alibaba was founded in 1999 by Jack Ma, the billionaire charismatic leader who currently serves as executive chairman. Ma has said he was turned down for a number of jobs before starting Alibaba, including as a manager at a Kentucky Fried Chicken store. Ma, who owns 8.9% of Alibaba's ordinary shares, recently set up two charitable trusts funded by share options of the company. Alibaba's mega IPO is being underwritten by a slew of Wall Street banks, led by Credit Suisse (CS), Deutsche Bank (DB) and Goldman Sachs (GS).